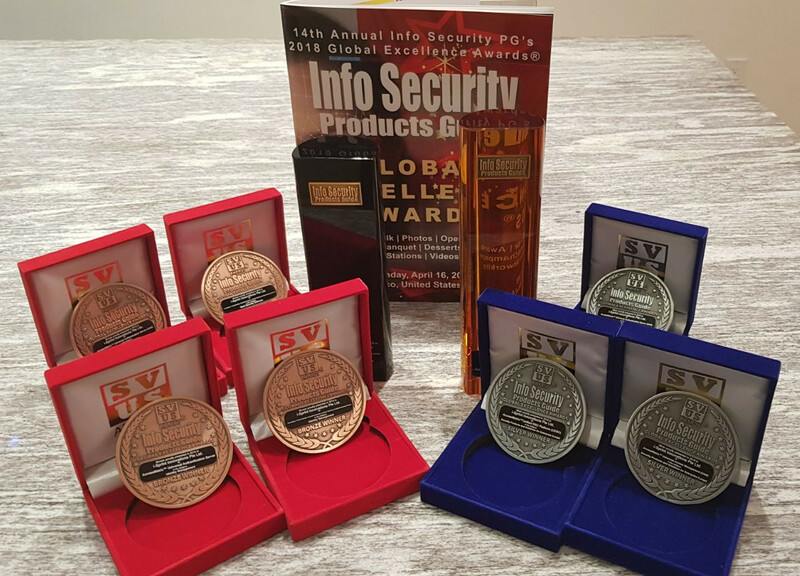 i-Sprint Won 9 Awardsinthe 14th Annual 2018 Info Security’s Global Excellence Awards in San Francisco1 Grand, 1 Gold, 3 Silver and 4 Bronze AwardsSingapore, 17 April 2018–i-Sprint Innovations i-Sprint announced today that the company had received 9 awards from Info Security Products Guide, the industry’s leading information security research and advisory guide, at 14thAnnual 2018 Info Security’s Global Excellence Awards Ceremony held in San Francisco on 16 April 2018.Info Security Products Guide has invited more than 40 judges from a broad spectrum of industry voices from around the world to evaluate the finalists and their average scores determined the 2018 Global Excellence Awards Winners.Albert Ching CTO Left Dutch Ng, CEO Right of i-Sprint attended the award ceremony on 16 April 2018 in San Franciscoi-Sprint had won the following awards:Grand Winner– One of the top winnersGold Winner for Access Management & Solutions Category– AccessMatrix™ Universal Access Management UAMSilver Winner for Security Products and Solutions for Enterprise Large Category– AccessMatrix™ Universal Authentication Server UASSilver Winner for Security Products and Solutions for Enterprise Large Category– AccessMatrix™Unified SSO PlatformUSSOSilver Winner for Security Products and Solutions for Enterprise Large Category– AccessMatrix™ Universal Access Management UAMBronze Winner for Authentication Solution Multi, Single or Two-Factor Category– AccessMatrix™ Universal Authentication Server UASBronze Winner for Identity Management Category– AccessMatrix™ Universal Authentication Server UASBronze Winner for Identity Management Category– AccessRealBronze Winner for Best Security Software Category– AccessRealThe full published results can be found onhttp:www.infosecurityproductsguide.comworld. 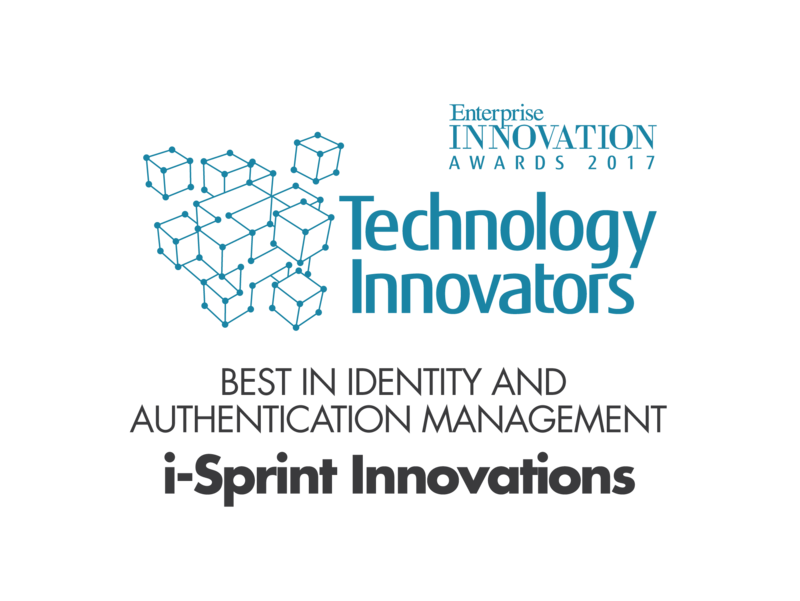 i-Sprint Won Enterprise Innovation Award 2017 Technology InnovatorsBest in Identity and Authentication ManagementSingapore, 28 March 2018–i-Sprint Innovations, the leading provider in Securing Identity and Transactions in the Cyber World, is honoured to be voted by the readers of Enterprise Innovation as the winner for the Technology Innovators, Best in Identity and Authentication Management category. 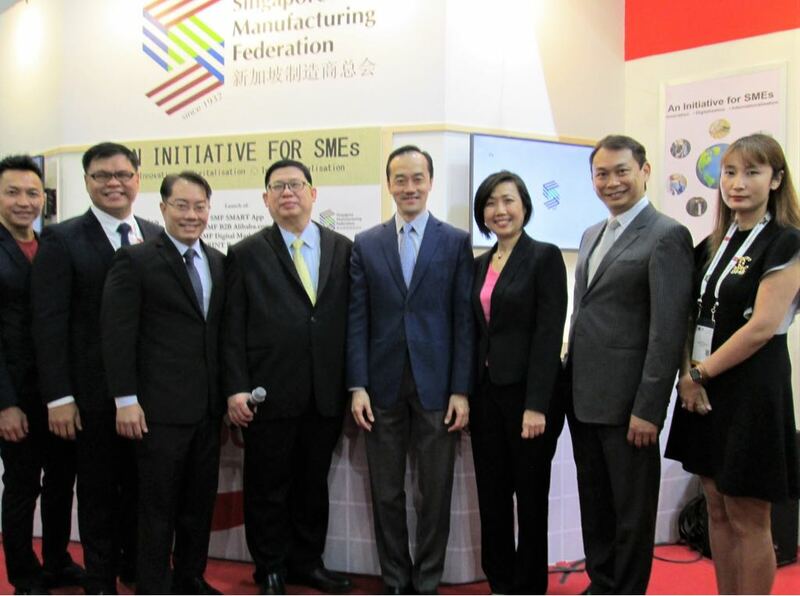 The Awards ceremony took place on 27 March 2018 at Marina Mandarin Singapore.This Award is by Enterprise Innovation and it aims to recognize companies in Asia that are innovating through the use of technology and process best practices, The awards identified companies that are both users and providers of technology for their ability to innovate and deliver outcomes that consist of business results as well as game-changing capabilities.Clickhereto view the full winning list. Copyright © 2015-2017 i-Sprint Innovations. All rights reserved (CRN: 200001838R).